A three-quarter length sock, traditionally known as a ‘half hose’, these Viyella Wool argyle Socks have a classic look and feel, made in a medium weight and using the intarsia method that all ‘proper’ argyle diamonds patterns are woven in and the hand linked toe for smooth seams add comfort. Viyella Half Hose Wool Argyle Socks are manufactured in England using quality wool blend yarn, making them comfortable and durable for everyday wear, whether your pick is chinos, combats, jeans or suit trousers. 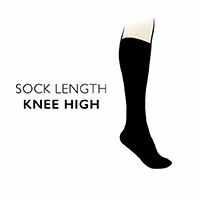 A short leg version is also available from us.